Dedicated to serving the mission of the organization. Members of all walks of life come together to make a difference! Ask how you can make a difference! Auxiliary members show pride in organization. Junior members are our future! The Department of Veterans Affairs (VA) mental health program experienced tremendous growth (86%) between 2005 and 2017. Troops returning from deployments in Iraq and Afghanistan required mental health care services including treatment for PTSD, substance use disorders, depression, and anxiety. During this time VA also identified an upward trend in suicides among veterans. Homelessness and unemployment were considered contributing factors, particularly for some subgroups in the veterans' population such as women and minorities. 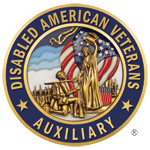 -Require certain oversight reports and improve authorities to assist in recruiting mental health providers and increasing veterans' access to telehealth.